Thickening liquid soap created from Potassium Hydroxide or a combination of Potassium and Sodium Hydroxides is a challenge that many soapmakers face. There are a lot of thickening products out there for surfactant systems but many are not suitable for high ph soap products. There are two cellulose products that do effectively work to thicken these liquid soaps. Hyroxyethel Cellulose (HEC) and Hydroxypropyl Methylcellulose (HPMC). Both of these products are readily available at Lotioncrafters and The Herbarie. I had previously shown how to effectively use HEC to thicken liquid soaps and here I will show one way to thicken using HPMC. Please note: HPMC works very, very well at thickening dual lye (those using both potassium and sodium hydroxides) soaps at very small percentages. I use about .5% of HPMC on my dual lye soaps. Some people have success just heating up their soap, sprinkling the HPMC into it, whisking well and allowing it to cool down, whisking it every so often. I tried this method and had difficulty getting the thickness I wanted and found that using it at greater than 1% caused my soap to cloud. I went back to the vendors instructions and had more success with that method at much lower percentages of product - plus it is not necessary to heat the entire batch of diluted soap this way - just a portion of it. Lotioncrafters: "Hydroxypropyl Methylcellulose (HPMC) is multifunctional as a lubricant, foam enhancer and stabilizer, thickener, emulsion stabilizer and film former for hair and skin care products. 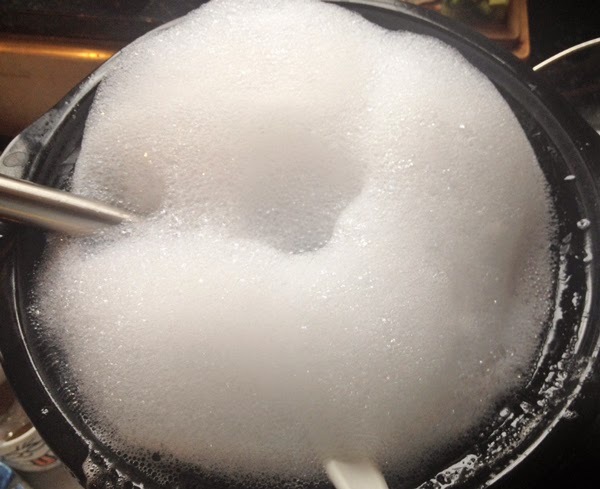 HPMC is especially useful in surfactant systems for its foam enhancing properties, helping with the formation of bubble structure, leading to richer, longer lasting lather. HPMC has a high tolerance for both salt and alcohol." The Herbarie: "Hydroxypropyl Methycellulose (HPMC) is a natural multifunctional carbohydrate polymer. HPMC can be used in hair care, creams and lotions, skin care serums, shaving products, suncare, and other cosmetic and personal care formulations. HPMC is perhaps best known as a thickener for gelled products, but will function as a film former, suspension aid, lubricant, lather enhancer and stabilizer, emulsion stabilizer, and gelling agent. HPMC works best in a pH range of 3 – 11. HPMC is an extremely efficient thickener. 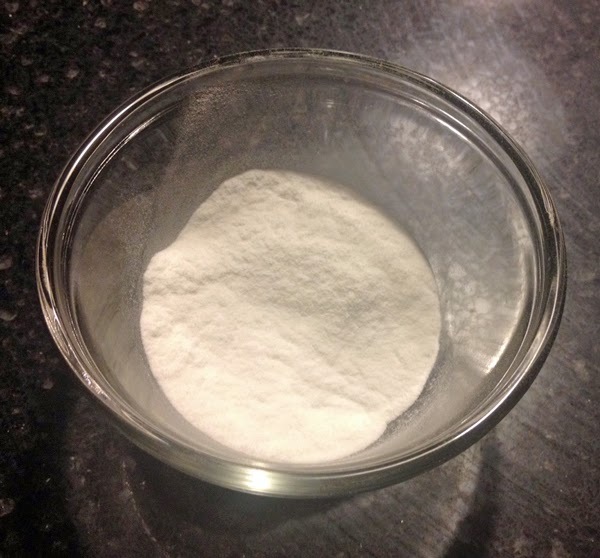 As little as 0.3 – 1.0% will successfully thicken most formulations. 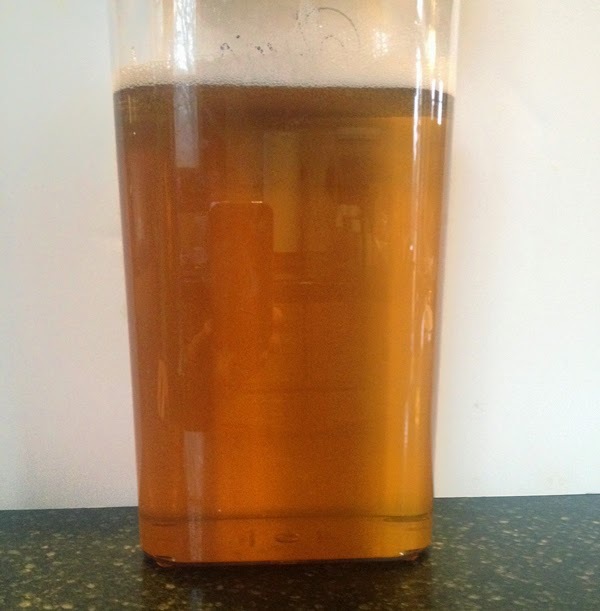 The natural lubricity of HPMC can improve product flow and aid in dispensing." The key statements from these descriptions is the high tolerance for salt (which soap is an alkaline) and the high ph range of 3 - 11. 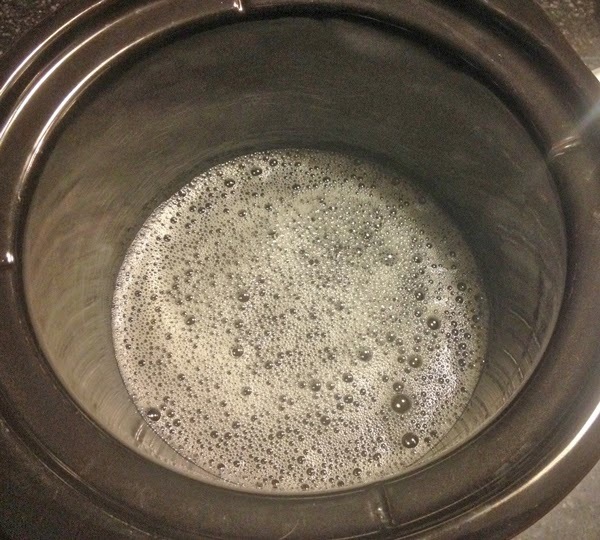 So, here is how to use HPMC to thicken your liquid soap. 1. Weigh out how much soap you are going to thicken. My soap batch is about 88 ounces. It has had additives added (glycerin and water soluble shea butter) and sequestered for about a month. 2. Calculate how much HPMC you need. Start small as you can always repeat the process to create more thickness. If you thicken you soap too much, you will need to add distilled water to thin it out and that will dilute your soap more. Also keep in mind the current thickness of you soap as some are very watery and some have a bit of thickness to them to start with. The soap I am using was created using both lyes (potassium and sodium hydroxides) so has a bit of thickness to start with. Therefore I am going to start with .5% HPMC. When working with such small amounts, it is often better to work in grams for more accuracy. Multiple your total soap by the percentage of HPMC you will use. 4. 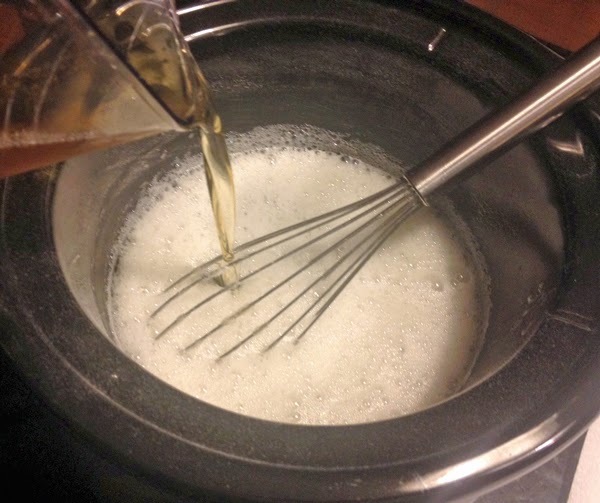 Measure out about 1/3 of your diluted soap into a crock pot or other container that can be heated. This container needs to be large enough to hold all of your diluted soap with room for mixing. 5. Heat your diluted soap to 167 degrees F - 194 degrees F. Why this range, one vendor recommends the lower temp or higher, the other recommends the higher temperature. I would go with the temp from the vendor you purchase your HPMC from. 6. 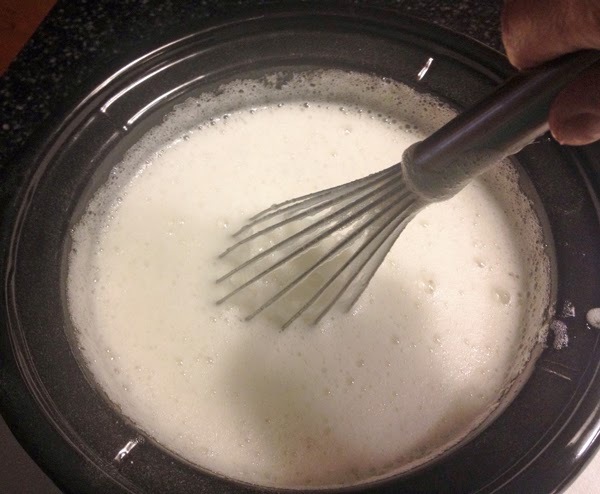 Add your HPMC to the heated portion of soap while whisking it in. It is not going to dissolve but you want to get it evenly dispersed into this soap. 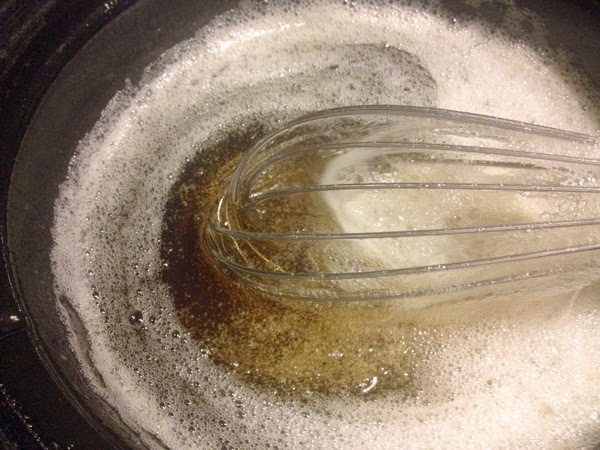 Continue whisking until evenly dispersed. 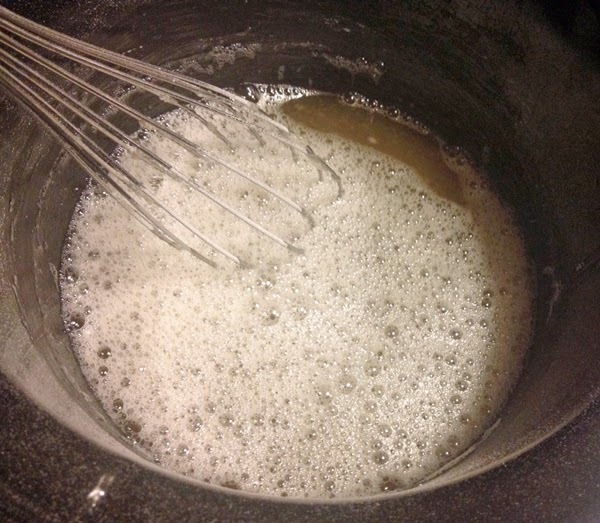 This is not always easy to see because as you whisk it in, you will create some bubbles since you are working with soap. 7. Once completely dispersed (no clumps), add your cold to room temperature remaining soap to the heated soap while whisking. HPMC thickens as it cools so you will immediately notice some thickening as you whisk in the remaining soap do to the temperature difference as it will immediately start cooling down your heated soap portion. Turn off the crock pot or remove from heat. 8. 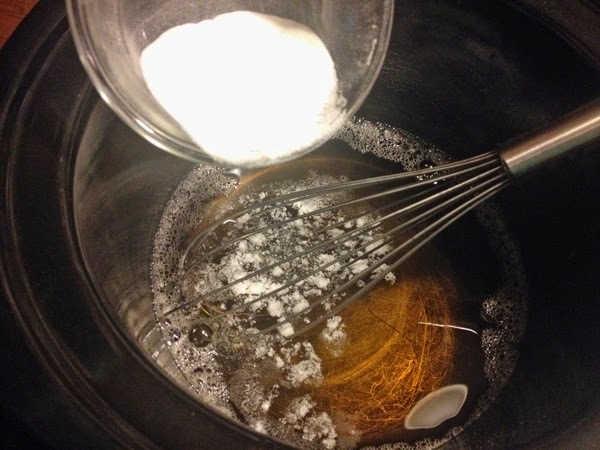 Allow the soap to cool while whisking it every so often until it reaches room temperature. You want to make sure that the entire batch of soap thickened by fully incorporating the HPMC, not just pockets of it. Both vendors indicate to mix for at least 30 minutes after the formulation reaches room temp. I do not mix constantly for 30 minutes, but do come back to give it a good whisking every 5 minutes or so. I will also take my stick blender to it for a bit to ensure full incorporating. Yes, this can create a lot of foam, but it will settle out. 9. Your soap will achieve its final thickness once it reaches room temperature. This is representative of the lather with this soap and how the HPMC does not kill it and possibly enhances it based on the vendor descriptions. This soap has only 10% hard oils (like coconut or babassu) and 15% castor oil with the rest being soft oils. It is a lot of bubbles for such a high percentage of soft oils in the formula. Hopefully this short video can demonstrate the thickness achieved from a .5% HPMC addition. I would consider this a medium viscosity. Not watery and not gelled. It is still fluid without running down your hand. I am very happy with the thickening I achieved with only a .5% addition of HPMC. Remember, each batch will be different based on how thick your soap starts out and you will have to adjust accordingly. Always test a small portion of your soap to see what percentage of HPMC you will need to obtain the viscosity you are looking to achieve. You've mentioned above that 'It has had additives added (glycerin and water soluble shea butter) and sequestered for about a month'. 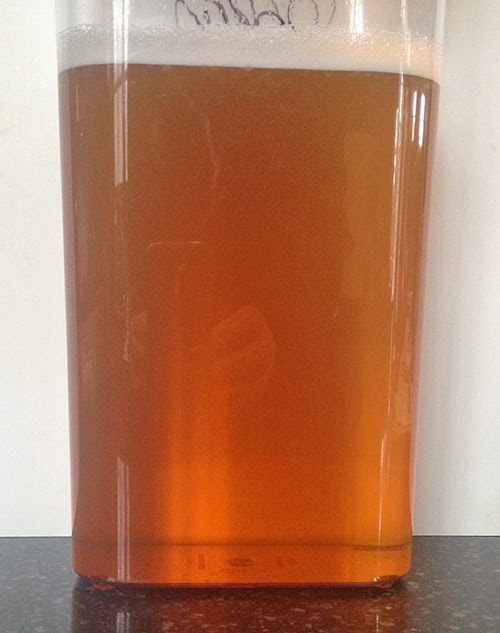 If I'd like to incorporate fragrance oil and preservative in my liquid soap, should I do this before the thickening process or after I've thickened it with HPMC? 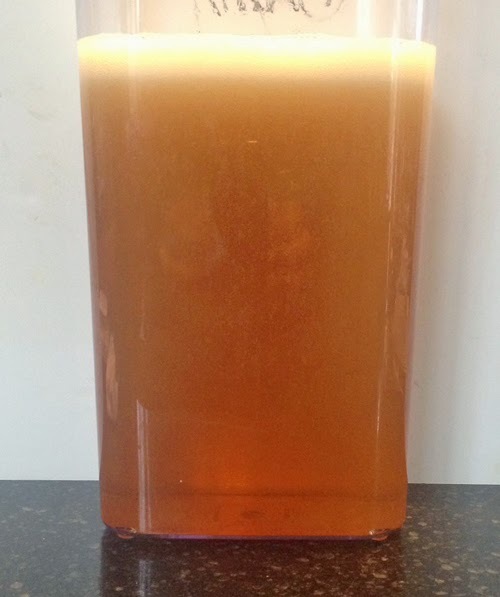 This is my first attempt to make liquid soap and I've found that your articles have been so informative! I really depends and some is personal choice. I often fragrance afterwards so that I can custom scent individual bottles. Preservatives can be heat sensitive, so if you add preservative, then reheat to add fragrance, you could alter the effectiveness of the preservative - so, there are several issues to consider when it comes to additives. It is important to make sure that you know how your additives (especially EO's and FO's will affect your soap. Some will cloud, thin out or thicken it so adding after thickening can still affect your overall soap. I personally would preserve when completed as you preserve based on a percentage of total batch weight. Fragrance can be added later, but watch the heat so as not to affect your preservative. I made liquid soap with water,Sodium hydroxide,Acid slurry,S.L.E.S and A.O.S.It was very good one.Specially for washing dish wash.But,it was looking like water,no viscosity.So,I tried with Guar gum and Xanthan gum both.But,it was just wasteless.Now I'm going to improve my liquid soap's viscosity with your suggestion.Let's see what will happen.I will post after my experiment.